Great day in Valley Forge. I was stalking a buck and decided to hide in the woods so he wouldn't see me. 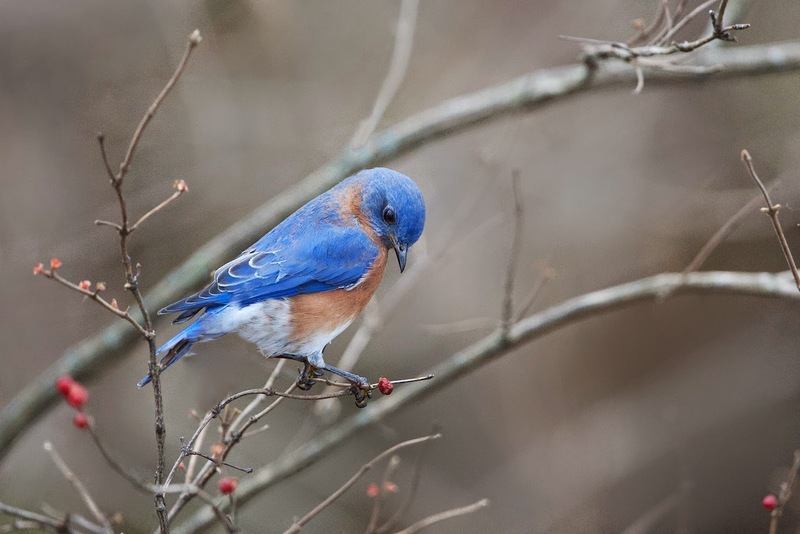 As I walked I noticed some bluebirds in the brush and was able to catch one eyeing a red berry. After a few minutes the bluebird flew away and I just waited quietly for him to return, but instead I heard and saw a bit of commotion in the midst of all the branches in the brush. I looked closely and couldn't believe that I was seeing a great horned owl. 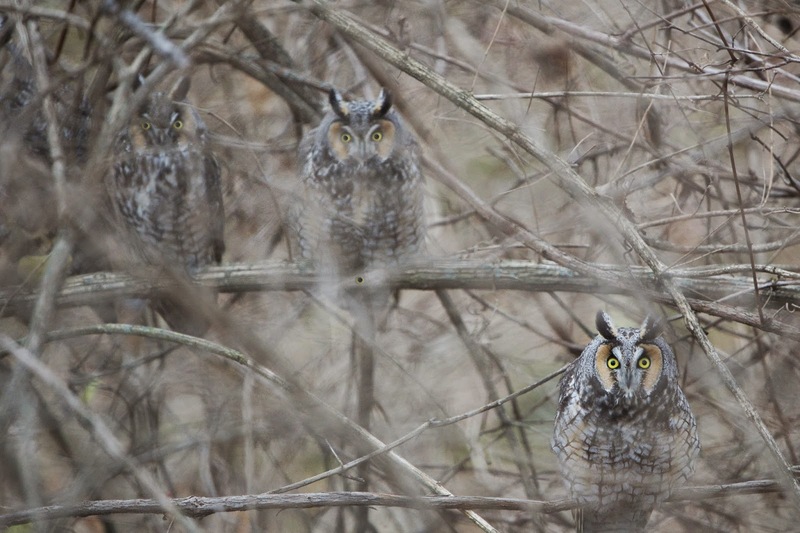 But it wasn't just one owl, but FOUR!! I've only seen one owl once years ago and to see four was such a thrill. See three of the four in the photograph below. They are pretty well camouflaged. 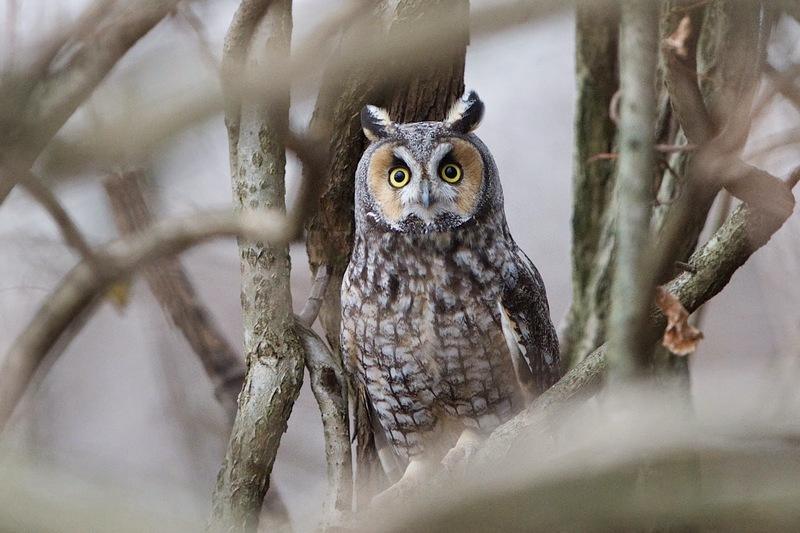 Final photo is the owl as I was leaving the brush area.